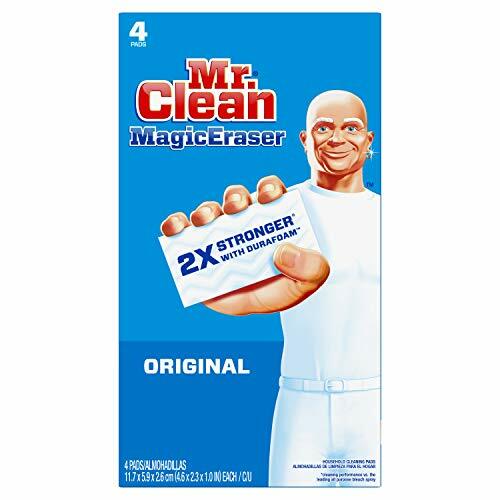 The Mr. Clean Magic Eraser is a Powerful Clean with Water Alone. The melaimine sponge's microscrubbers lift and remove dirt all around your home. This cleaning sponge is tougher on dirt, all around the house! Textured surface sponge cleaner, wall cleaner, bathtub cleaner, oven door cleaner, erases marks on light switches, doors & much more! These cleaning supplies are also available in Extra Durable, Bath Scrubber, and Kitchen Scrubber. Final Price as low as $2.98!